With many other homeowners booking their home improvements in the summer, there’s a chance you might not get to hire your preferred contractor, or choose a schedule that you want. Going off-season gives you better chances to do your home improvements. Another consequence of hiring a fully booked contractor is that if one of their projects get delayed for any reason, it will cause a domino effect that could delay other projects down the line – including yours. Choosing to do your home improvements during a less busy season means less chance of getting affected by delays that are not of your own doing. Fall is the perfect season for home exterior siding replacement and other exterior home improvements. While most materials have high temperature tolerance that allows installation during temperature extremes, it may not perform as well as those installed during milder weather. This is especially true with installations that require adhesives or foam-based materials, as well as most asphalt shingle products, which become brittle in extreme cold. The cooler fall weather is also favorable to our installers, who would otherwise have to endure extreme heat while working. An exterior home improvement can help make you warm and comfortable during the winter season. A new roof, siding or replacement windows benefit your home’s insulation, which helps prevent drafts, condensation and other common winter problems. Also, improved insulation can have a positive effect on your energy consumption by reducing heat loss, making your heating system more efficient. 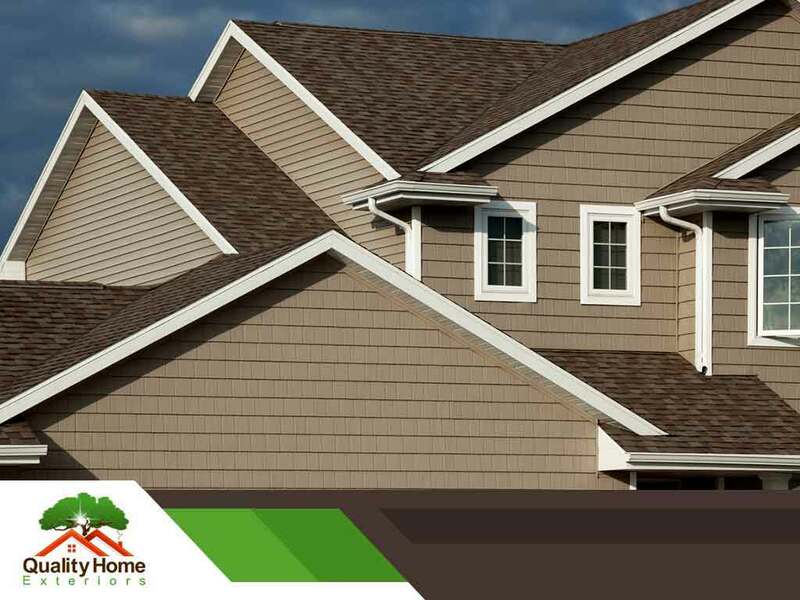 To learn more about having an insulated siding system or other home improvements that we can do for you this fall, call Quality Home Exteriors today at (402) 401-4505. You can also fill out our contact form to schedule a visit from us. We are located in Omaha, NE and serve nearby areas, including Kansas City, MO.